Our last post was about Microsoft and Hortonworks' joint effort to deliver Hadoop on Microsoft Windows Azure, dubbed HDInsight. 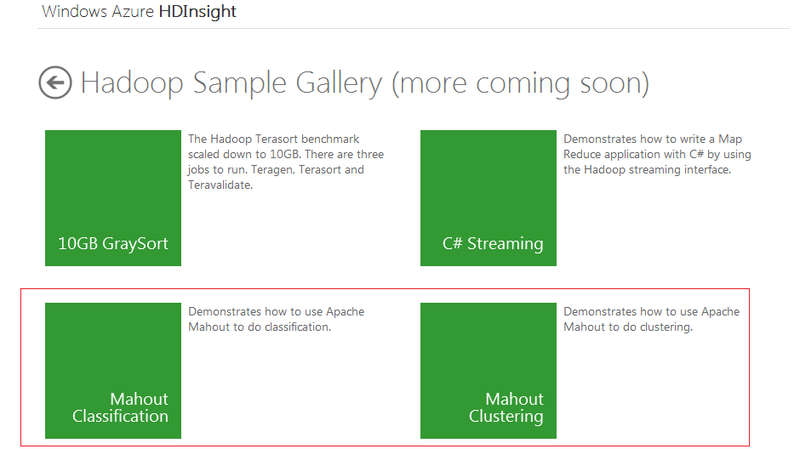 One of the key Microsoft HDInsight components is Mahout, a scalable machine learning library that provides a number of algorithms relying on the Hadoop platform. Machine learning supports a wide range of use cases from email spam filtering to fraud detection to recommending books or movies, similar to Amazon.com features.These algorithms can be divided into three main categories: recommenders/collaborative filtering, categorization and clustering. More details about these algorithms can be read on Apache Mahout wiki. 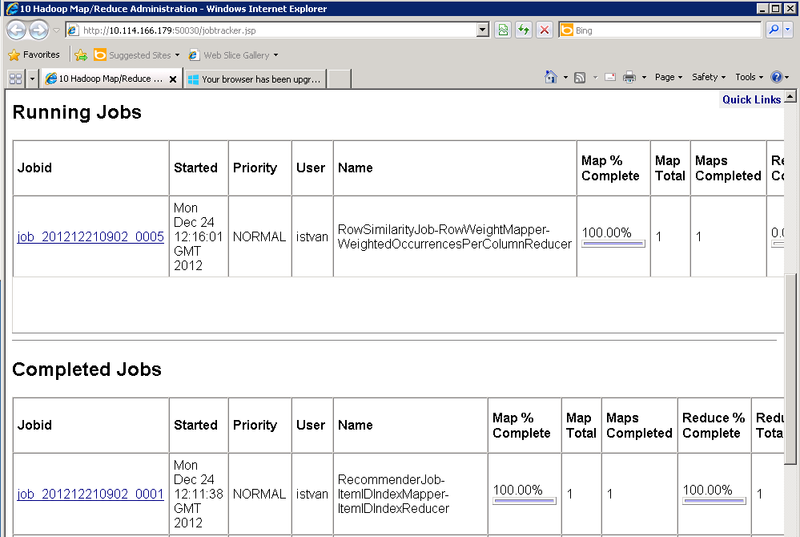 Thus the RecommenderJob recommends item 1228, 1473, 1612, 1624 and 1602 to user 112; item 1620, 1617, 1615, 1612 and 1611 for user 286 and 1620, 1607, 1534, 1514 and 1503 for user 301, respectively. For those inclined to theory and scientific papers, I suggest to read the paper from Sarwar, Karypis, Konstand and Riedl that provides the background of the item based recommendation algorithms. This will kick off the Hadoop MapReduce job and after a while it will spit out the confusion matrix based on Bayes algorithm. The confusion matrix will tell us what categories were correctly identified by the classifier and what were incorrect. 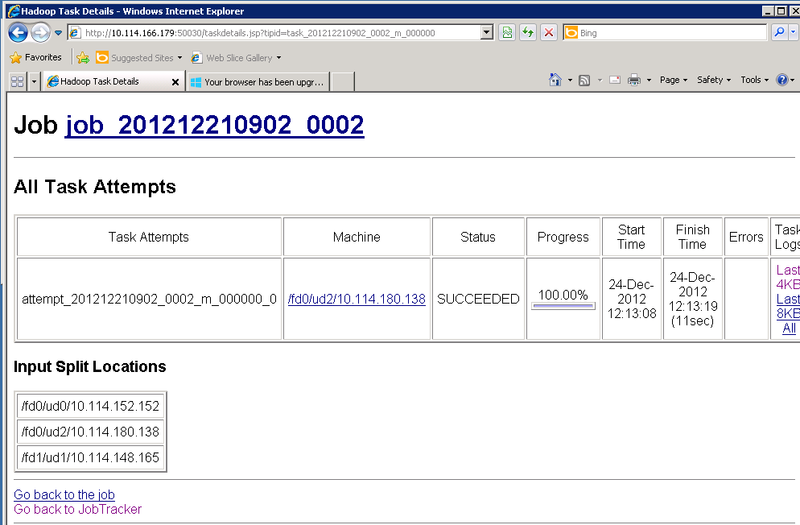 For instance, it has a category called rec.motorcycles (column a), and the classifier correctly identified 381 items out of 398 belonging to this cathegory, while it defined 9 items incorrectly as belonging to rec.autos (column f), 2 items incorrectly as belonging to sci.electronics (column n), etc.